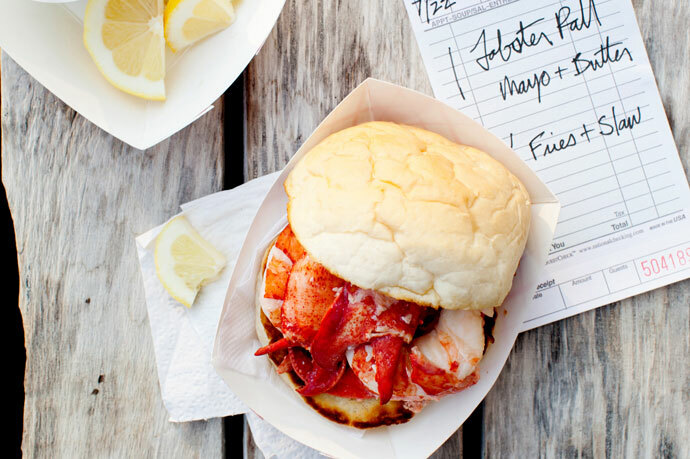 A buttered and perfectly grilled bun filled with fresh lobster meat mixed with little mayo — and no lettuce (the Down East editors are unanimously opposed to lettuce on our rolls — tell us in the comments if you disagree). A straightforward approach to a classic roll: plenty of meat and a light touch of mayo. Bob’s has us convinced that staying true to tradition is, more often than not, the way to go. 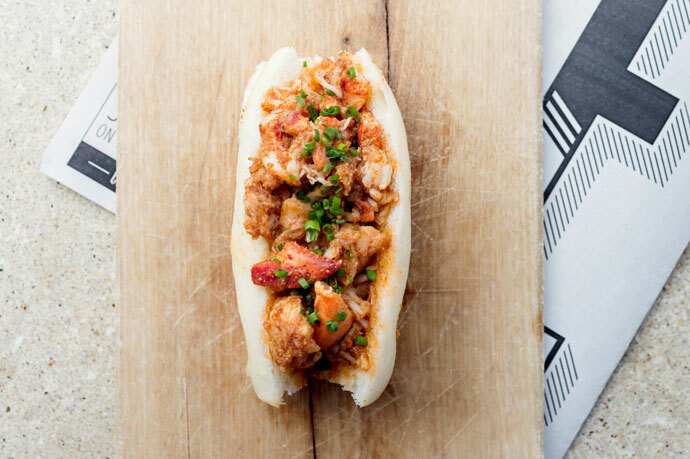 Strengths: Lobster is piled on a hot dog roll and served by some of the friendliest staff we’ve ever come across. A hands-down staff favorite, the brown butter vinaigrette on this roll isn’t traditional, but that doesn’t make it any less appetizing. It’s also the smallest roll on the list, but that doesn’t make it any less satisfying. You’d want to order more than one anyway. Strengths: It’s all about the soft, steamed, house-made bun that’s sticky and slightly sweet. 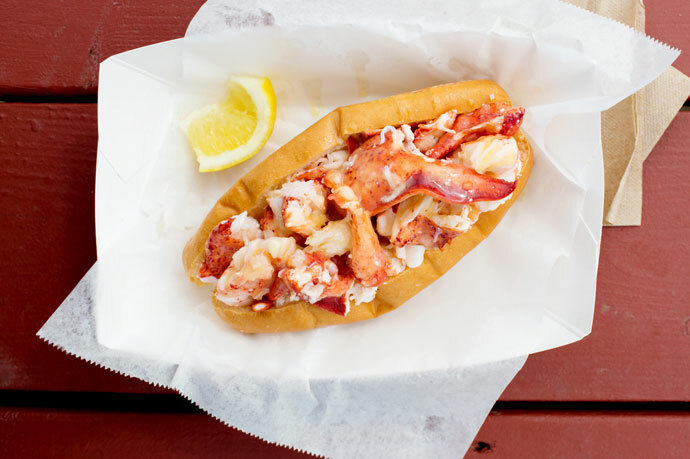 The Clam Shack lobster roll has won many accolades, including the top roll in The Travel Channel’s Food Wars. It’s also a favorite of celebrities from Al Roker to Barbara Bush. Strengths: Lightly toasted burger bun custom-made by a local bakery, and the option for just mayo, just butter, or a little bit of both. One of the best rolls on wheels, Bite Into Maine’s sandwich is served three ways. 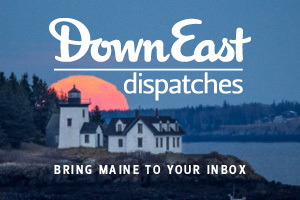 Our voters gave their highest marks to two: the “Maine,” with mayo and chives, and the “Connecticut,” with butter.  Strengths: Adventurous foodies should try the “Picnic”-style roll: lobster with a layer of coleslaw, seasoned with wasabi, curry, and chipotle. 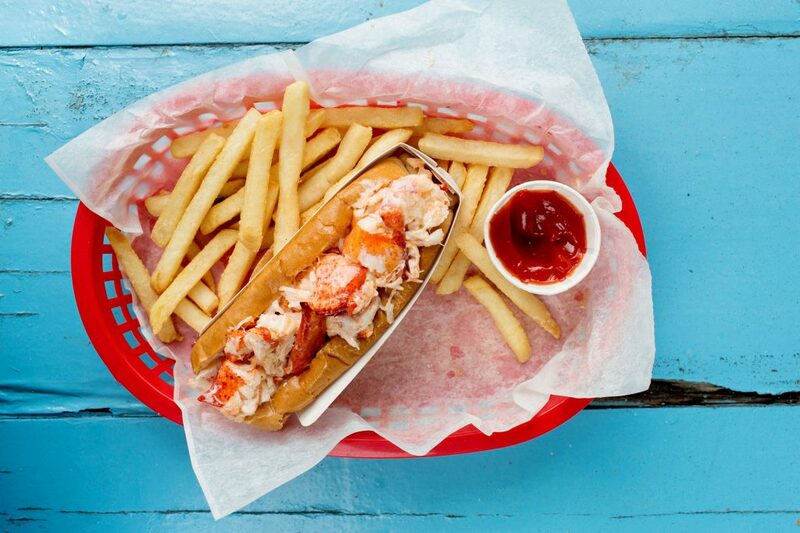 Want to know who won the 2014 title of Maine’s Best Lobster Roll? 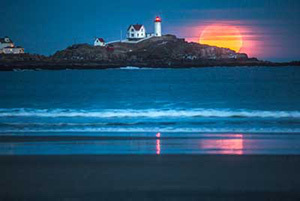 Hop on a ferry and head right this way.